I attended my first San Francisco Giants game in at least a month last Sunday, July 28. 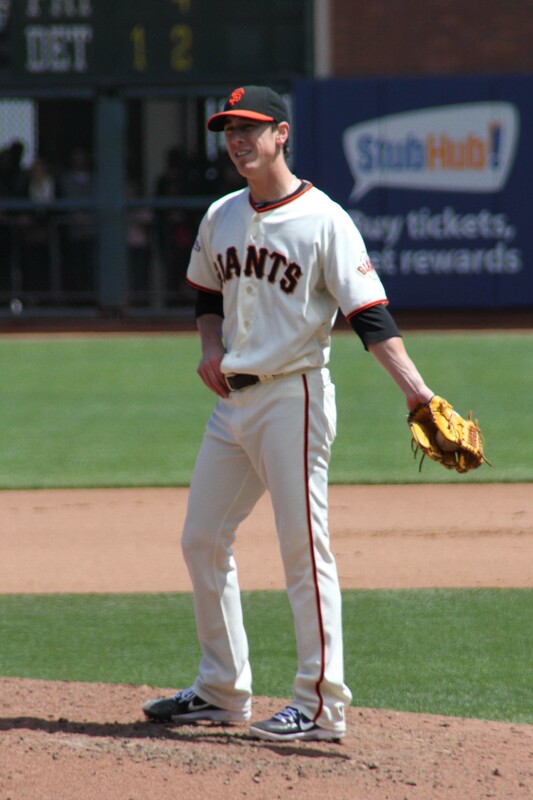 By happy coincidence, my favorite Giant, Tim Lincecum, was on the mound. Timmy pitched great — giving up just two runs in seven innings, and striking out 10. He also went 2-2 at the plate. You know the Giants’ offense is in serious trouble when Lincecum is the hottest hitter of the game. And so it was that the Giants were swept by (*gulp*) the Cubbies for the first time in 20 years. Final score: 2-1. It’s been a long season.